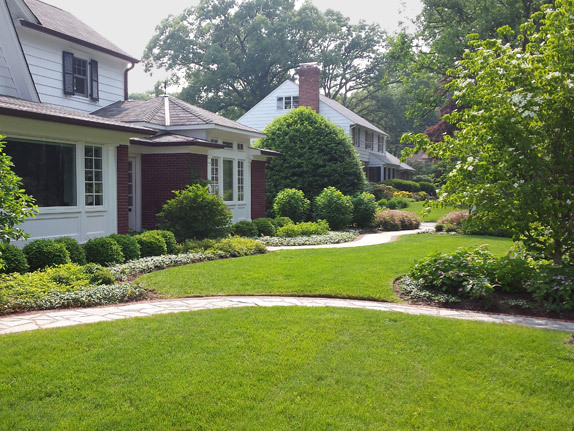 Keeping the lawn lush, green and nicely trimmed, the dead leaves out of the driveway, and those hedges manicured is at the heart of what we do. Reliable, responsive service matters to us, and it’s at the core of our business. We love design, and the challenges of installation, but maintenance comes down to good, old-fashioned hard work. It also serves as a living advertisement for our services, because neighbors take notice, and passersby say “Beautiful!” And our crew can look at their ongoing work with real satisfaction. Job well done!